An exciting news again comes from the Volkswagen Group, and this time concerns one part of the VW Group is the car manufacturer Kentjang, Porsche. 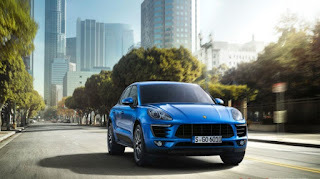 After stopping the sale of diesel cars in North America in 2015 ago, now the Porsche also stopped offering diesel variants for a moment, especially in the Porsche Macan. Yes, that's right, that now there is no more diesel-powered Tigers to buy. Steps taken by Porsche itself tend to attract, because at the same time the Porsche also declared itself is focused on future technology that is more likely to electric-powered cars or hybrid engine. Quoted from AutoCar UK, on Tuesday, February 20, 2018 ago Porsche has officially stopped the sale of diesel engines in continental Europe, but that does not mean Porsche is finished with diesel. "Diesel remains attractive to Porsche, because he also has performance characteristics, but for now there is no Porsche Macan diesel because it has stopped production," said Andrew Worth as Marketing & PR Manager Porsche Indonesia. The performance character in question can be a great torque kick from a turbo diesel engine as we know it. In the meantime, the Porsche promised to complete its product line with new machines. The engine that we mean this itself is a Plug In Hybrid engine that will be embedded in Porsche alerts products. Even this plug in hybrid engine itself has also been offered to Porsche Cayenne and Porsche Panamera at this time. Porsche itself also provides substantial funds for their investment in the development of future machines. A total of 7.4 billion US Dollars have been poured for investment in electric machines as well as related mobility services. Porsche itself states that in the coming 2025, they will be able to make electrification on all Porsche cars. 0 Response to "Porsche Macan Diesel Finally Officially Stop Production"